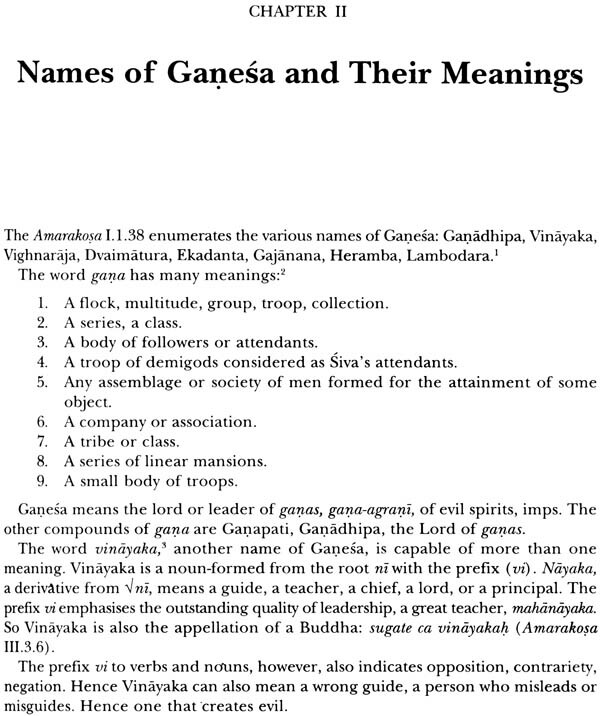 Ganesa commands universal respect among the indigenous religious schools and sets of the Hindus, Jains and Buddhists. 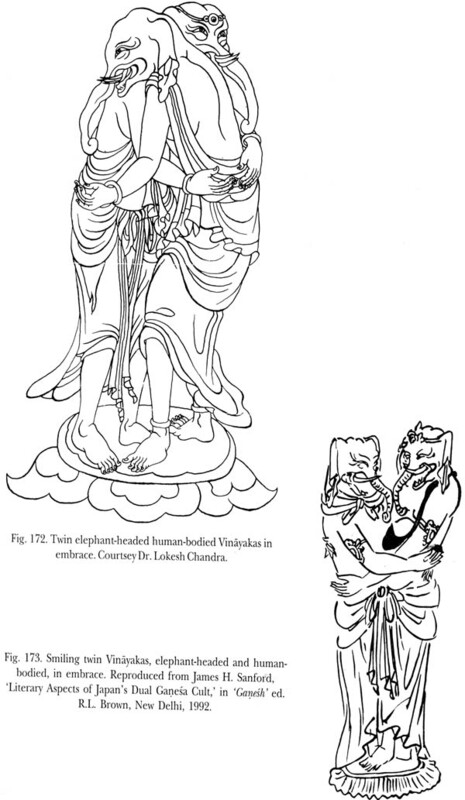 He is a god who is unique in many ways- his peculiar physiognomy an elephant's head on a human trunk, his double character, as a vighnakarta (creator of obstacles) and as a vighnaharta (remover of obstacles). He is worshipped first to ensure success of all religious and secular functions and enterprises. 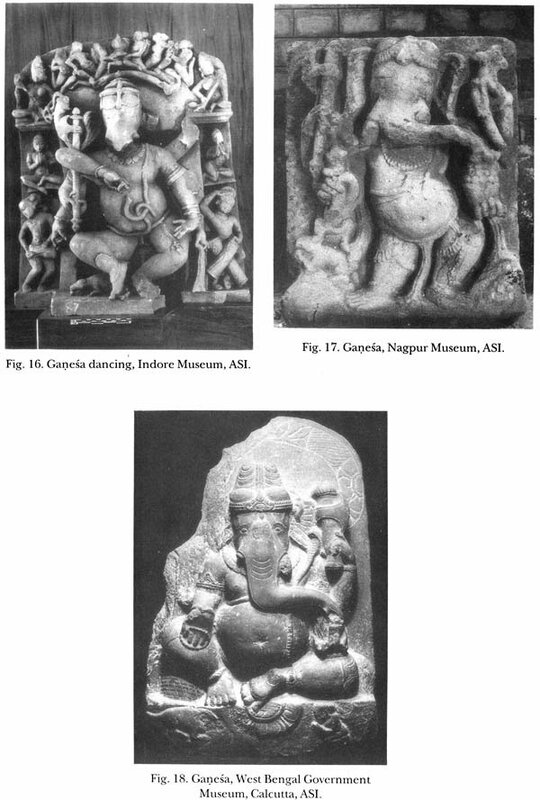 Ganesa is also the god of dance and music. 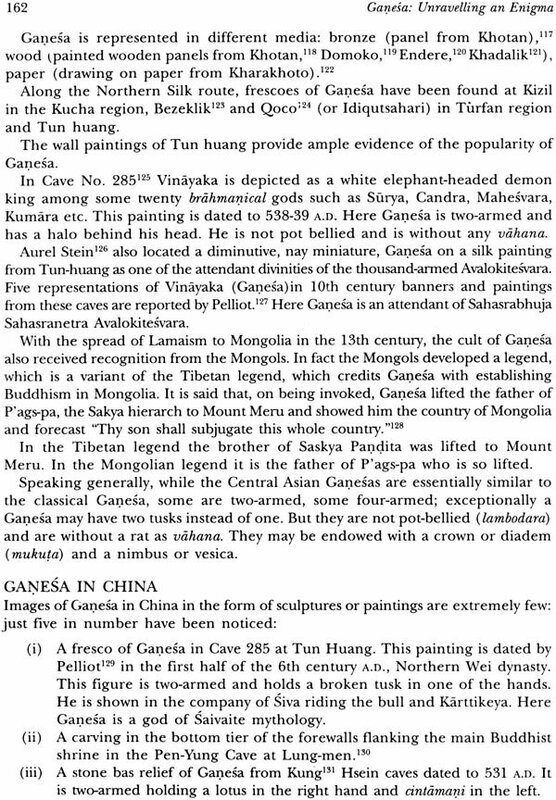 The cult of Ganesa spread to various countries of Asia. 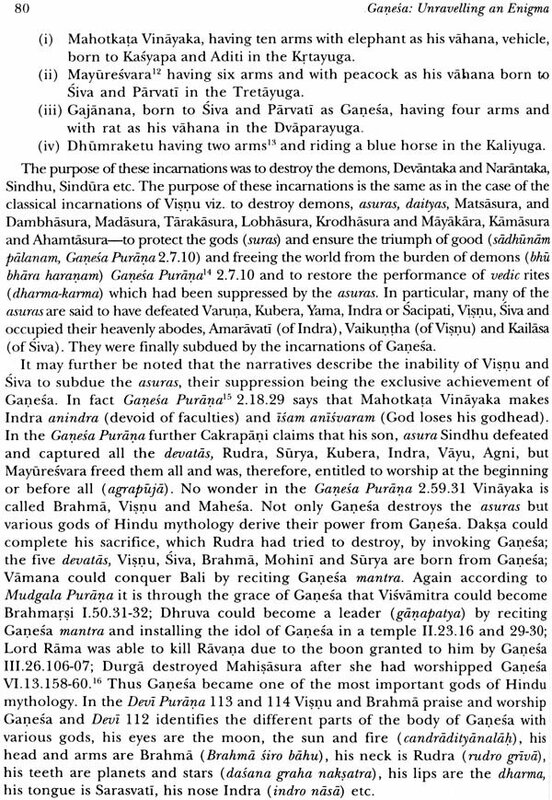 The rise of Ganesa to pre-eminence in the orthodox Hindu pantheon, as one of the panca devatas (five principal pauranika gods), is truly remarkable. It is an ancient version of mundane legend: from Log Cabin to Whit House. 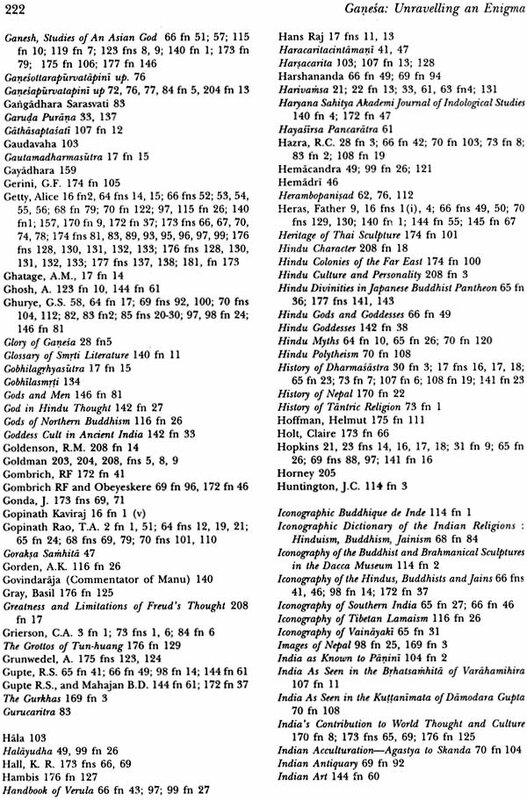 There have been many studies of this god in recent years; this one is the most comprehensive, fully documented in original sources, textual and artistic, and profusely illustrated. 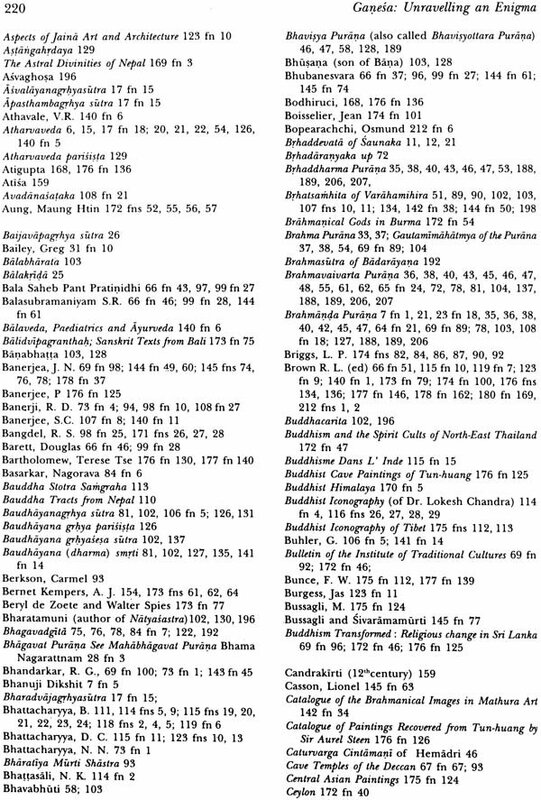 It traces the origin and development of pauranika Ganesa, from pre-pauranika Ganesa, a vighnakarta, into pauranike Ganesa, a vighnaharta analyses his distinctive features and studies his representation in art both in India and in the other countries f Asia. It seeks to unravel the enigma of a non-Vedic, non-epic and a non-Aryan god coming to occupy a place of honour in Hindu pantheon. 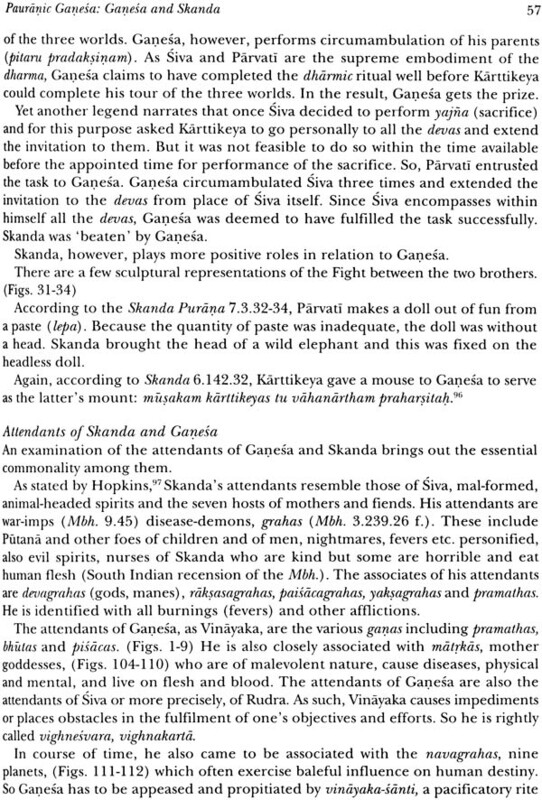 The techniques adopted by the followers of Ganesa to promote his cult and status and the enduring results achieving make a fascinating study in 'PR' work. Y. Krishnan (born 1922) M.A., LL.B is a scholar in Indology- Indian History, Religion, Philosophy and Art. 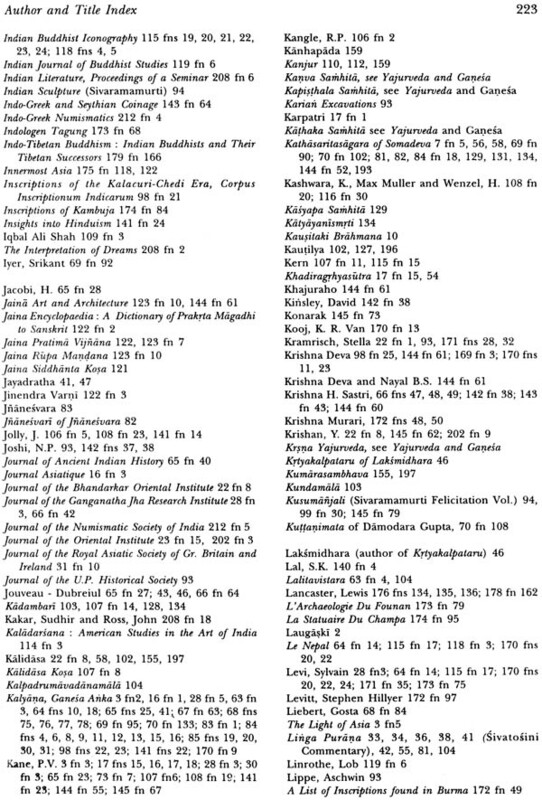 He has published over 150 research papers on these topics in Journals of standing in India and abroad. 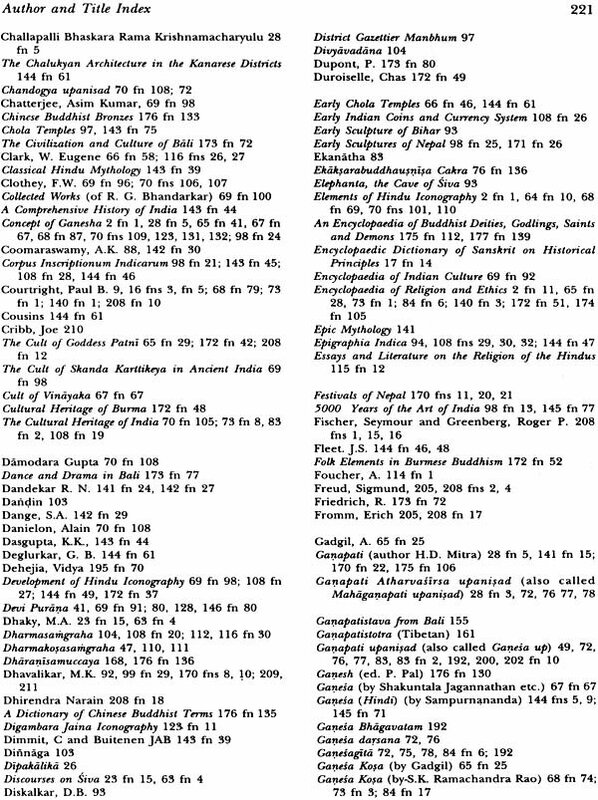 These also cover the partition of India. He had a long and distinguished record of service under the Government of India-in the Railways, Indian Administrative Service and the Audit & Accounts Departments from where he retired as Deputy Comptroller and Auditor General of India in 1980. He was a member of the National Consumer Disputes Redressal Commission from December 1988 to January 1995. 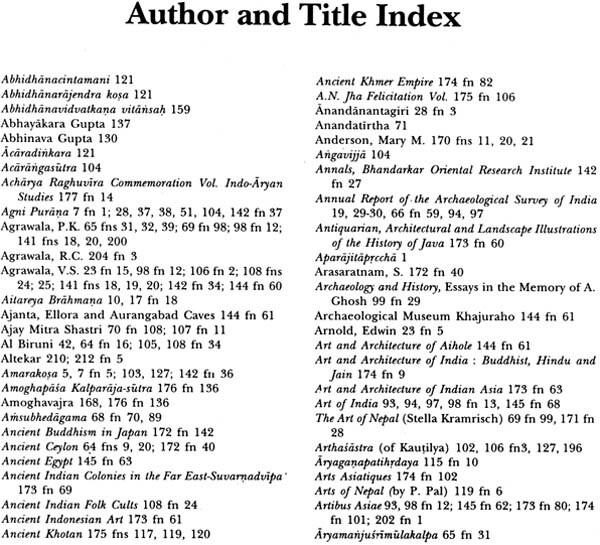 He has also published three books: Audit in India's Democracy; The Buddha Image: Its Origin and Development; The Doctrine of Karma: Its Origin and Development in Brahmanical, Buddhist and Jaina Traditions. At Present he is doing a book on India's partition. Ganesa is the most popular of the gods in India. He is a non-sectarian god, being worshipped by the followers of all three religious traditions: Hindu, Buddhist and Jaina. 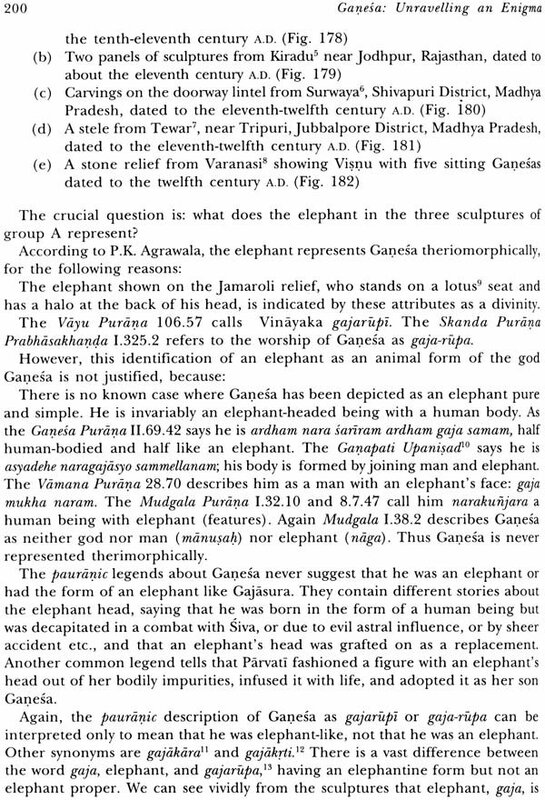 He is a paradox in Indian theogony: he is both a vighnakarta, creator of obstacles and a vighnaharta, remover of obstacles; he has an anomalous from: an elephant head on a human body. 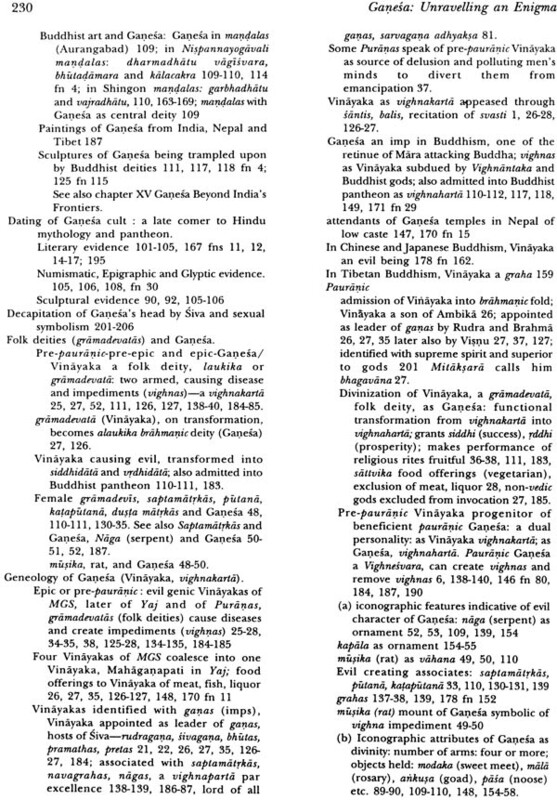 He is found in association with evil spirits saptamatrkas, which cause physical and mental diseases, or health cause planets which exercise baneful influence on man such as seizures. He has often a garland and a belt of a snake. 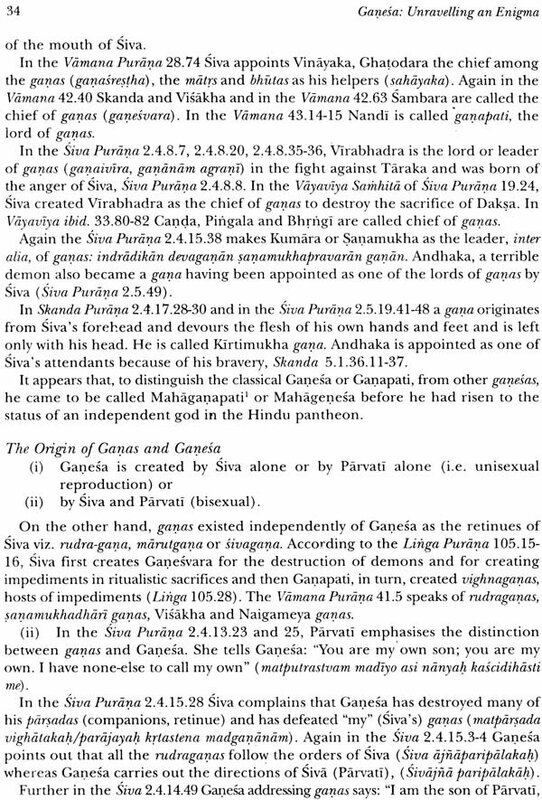 The earliest Ganesase are two-armed but later, on his admission to the fold of Hindu gods, he is endowed with four and more arms. He is a non-Vedic god. 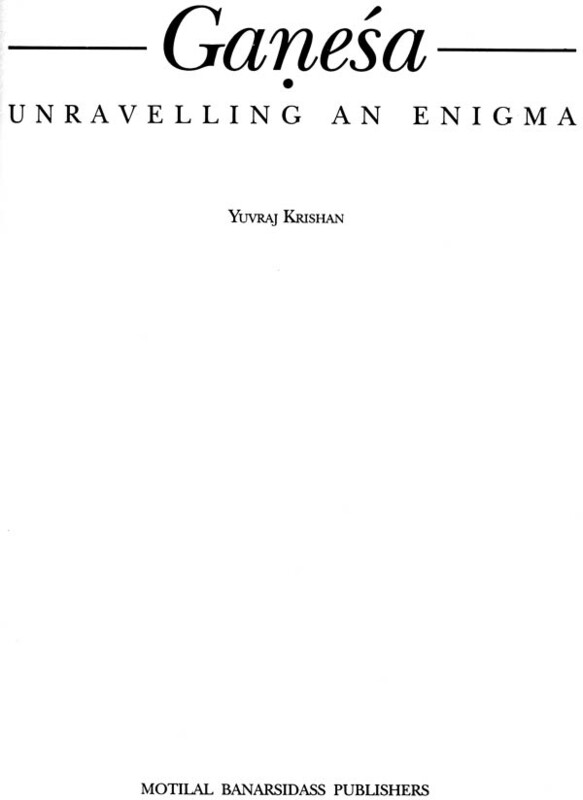 His origin is to be traced to the four Vinayakas, evil spirits, of the Manavagrhyasutra (7th-4th century B.C.) who cause various types of evil and suffering. These Vinayakas are folk deities, gramadevatas. 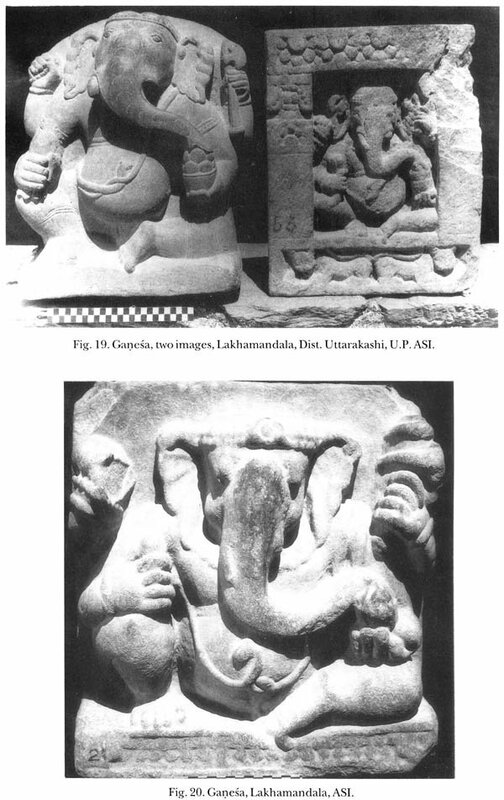 These four Vinayakas, evil spirits, are amalgamated into one Vinayaka in the Yajnavalkyasmrti (1-3rd century A.D). Skanda or Karttikeya or Kumara, was, originally, another gramadevata, the leader of heavenly hosts, devasenapati and thus joins the ranks of brahmanical gods. 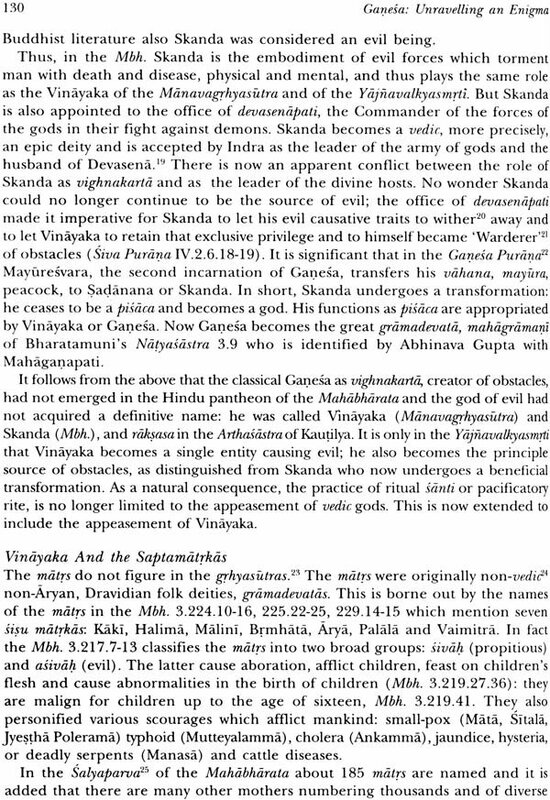 Vinayaka now becomes the leader of the evil causing followers of Skanda or Karttikeya, that is, of the different folk deities, pramaths (tormentors) , bhutas (evil spirits ) and the pisacas (blood suckers). 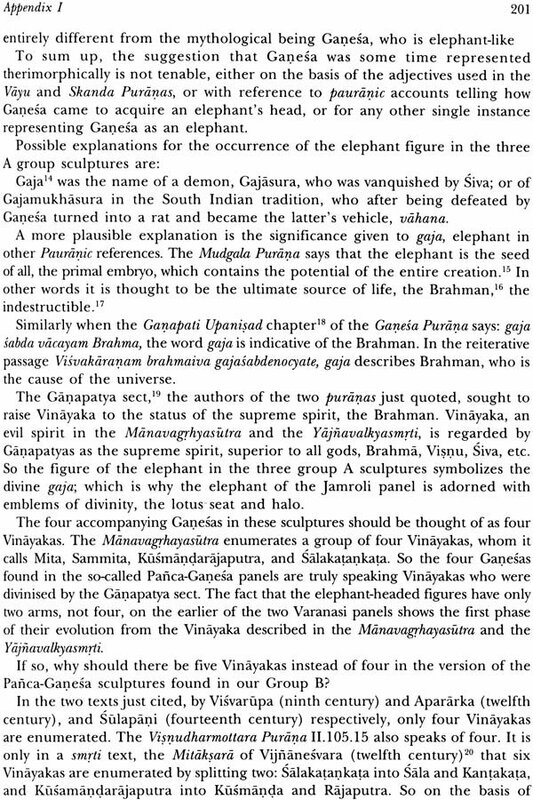 In the Yajnavalkyasmrti, we notice the first step towards brahmanisation of Vinayaka: he is declared to be the son of Ambika, who in later Hindu mythology, is identified with Siva's spouse, Parvati. In the Puranas in the post-Gupta period, he becomes the son of Siva and Parvati. 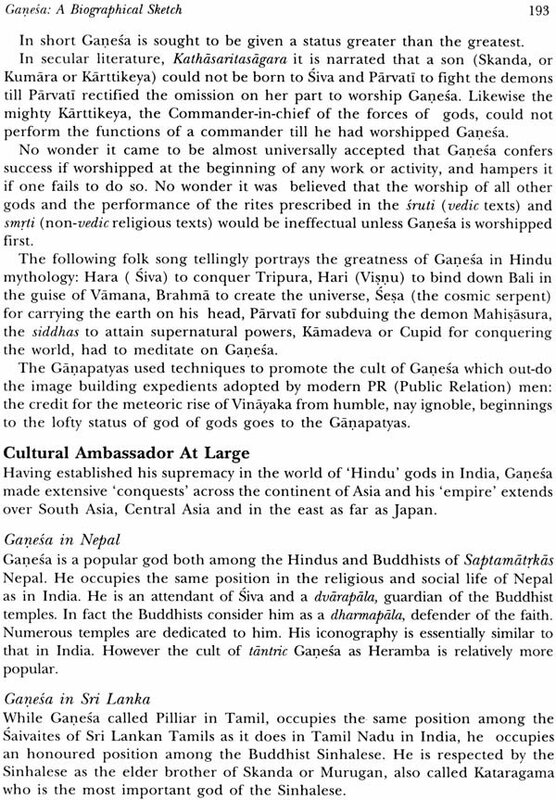 Now he is appointed as the leader of Siva's hosts: rudraganas So Vinayaka becomes Ganesa, the lord of ganeas, a brahmanic god of high status, being the son of the greatest gods of Hinduism, Siva and primordial sakti, Parvati, the spouse of Siva. As the son of Siva and Parvati he becomes the remover of difficulties or impediments, a vighnaharta, in the performance of all activities; he becomes a siddhidata, bestower of success. The process. 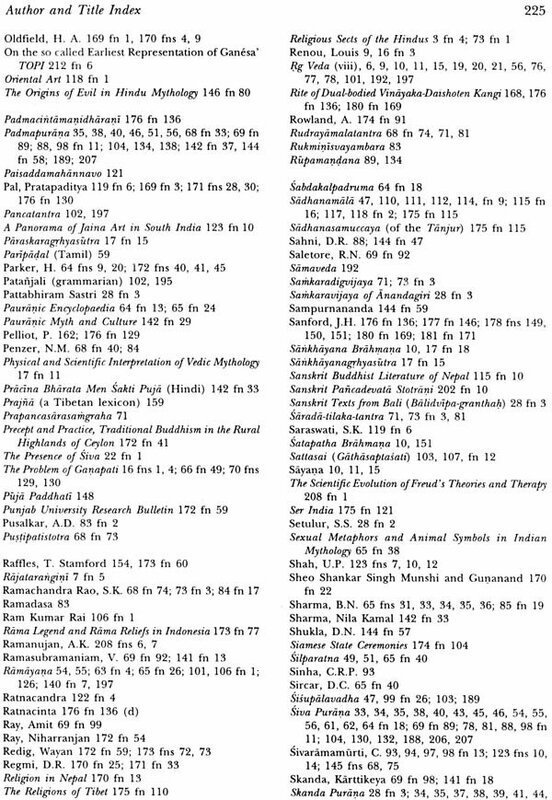 of brahmanisation of Vinayaka of the Manavagrhyasutra and Yajnavlkyasmrti is complete in the Puranas. 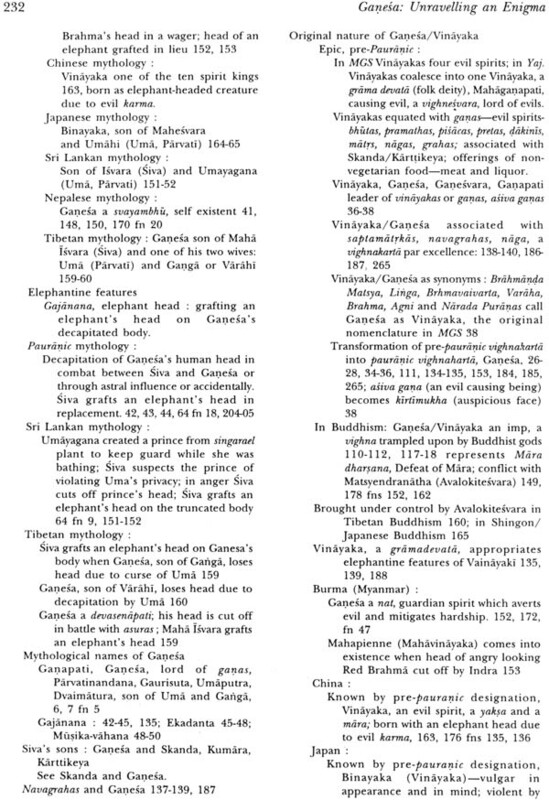 Vinayaka, as Ganesa, undergoes a limited or qualified transformation. His and appearance remain the same but with a functional transformation. 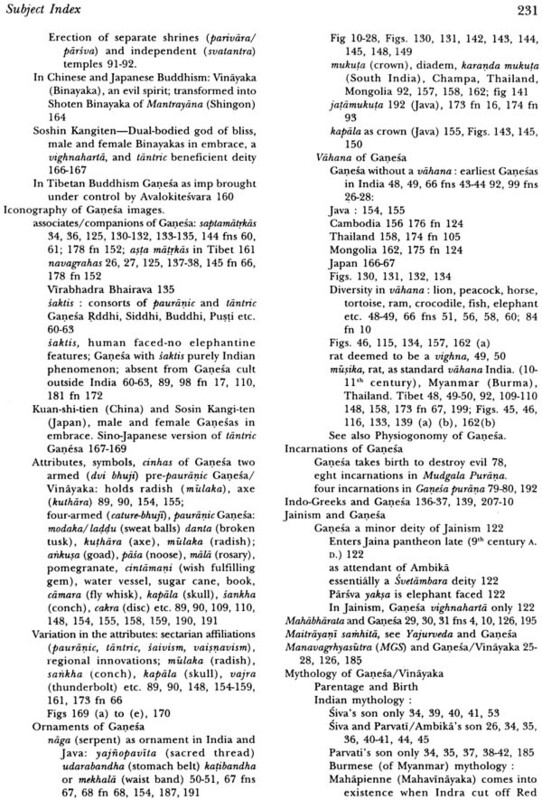 Ganesa has a dual nature; as Vinayaka, as a grmadevata, he is vighnakarta, and as Ganesa he is vighnaharta, a pauranic devata. 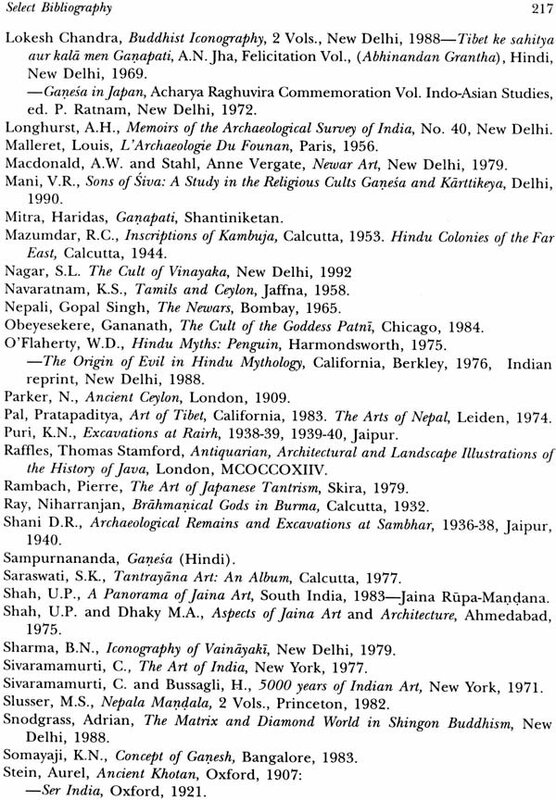 The admission and rise of Ganesa in the brahmanic pantheon is vivdly reflected in art. 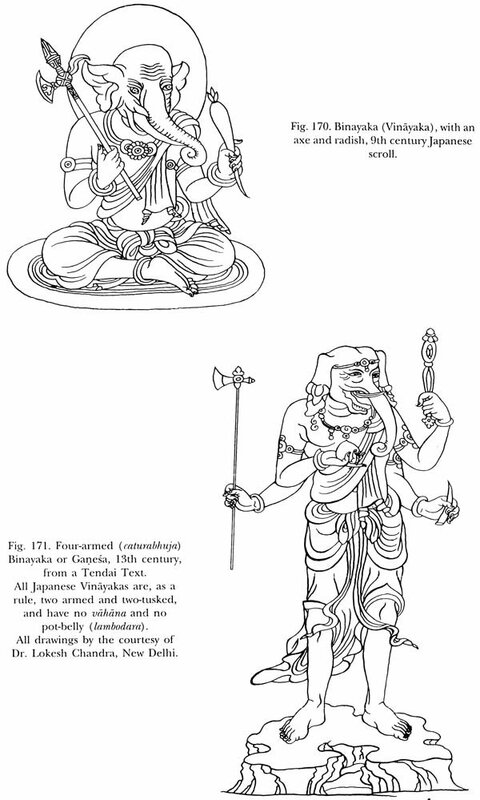 Originally, as Vinayaka, an imp, he is only two armed. But as a Pauranic god, he is multi-armed, he four or more arms. He holds various objects in these hands which become his attributes in iconography. 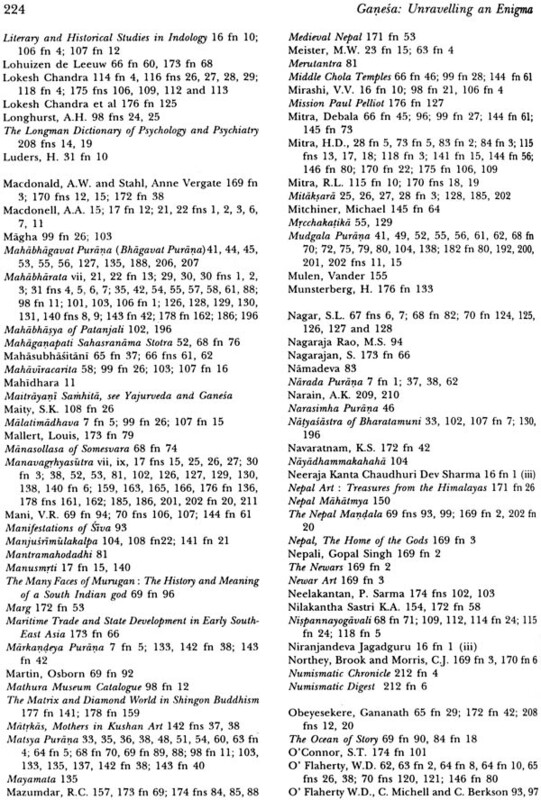 The most common attributes are laddus or modaka (sweet balls) , and ankusa (goad), pasa ( noose) and a tusk. As first he occupies a modest position in Siva temples: he is a dvaradevata, gate guardian, being depicted at the entrance, mahadvara. Later he is depicted in the company of Parvati, Saptamatrkas etc. on the walls of the agramandapa, mukhamandapa, ardhamandapa, in the niches of the walls of the temple, as an acolyte of Siva playing a minor role in the episodes from the mythology of Siva, later as a parivara devata or parsva having a subsidiary (parsva) shrine with the principal shrine being dedicated to Siva. 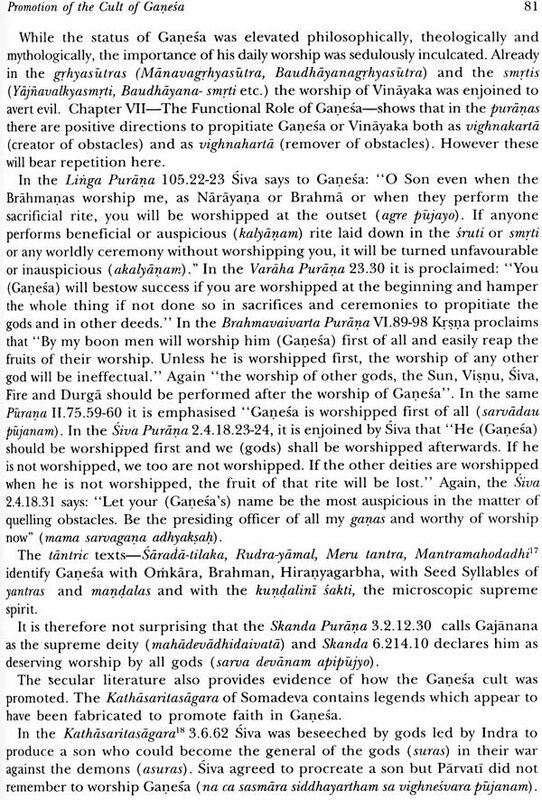 Eventually independent shrines are built to Genesa where he is the main deity. 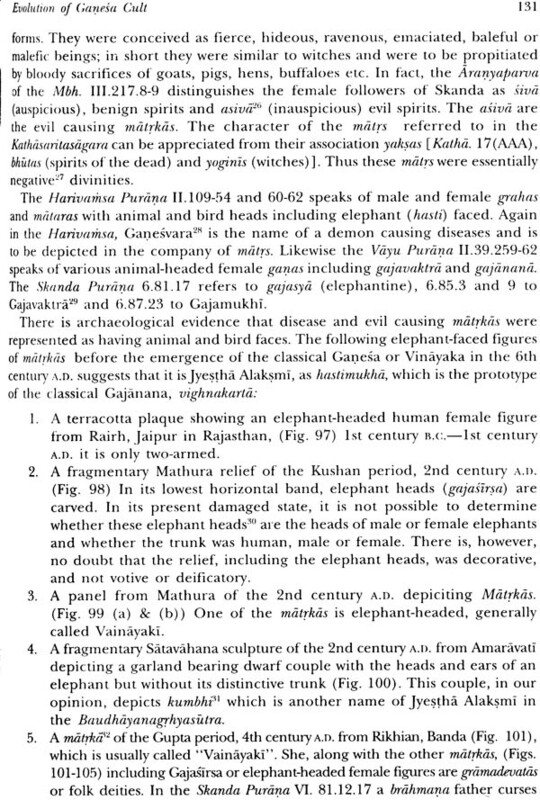 Again, after he had been admitted to the brahmanic pantheon and give a high status as the son of Siva and Parvati, the puranas set themselves about explaining the peculiar features of Ganesa: how he was born, how he came to acquire an elephant's head, why he is one tusked, how a rat becomes his vahnana, vehicle etc. This enriches Pauranic mythology. Genesa's rapid ascent in the brahmanical pantheon was aided and accelerated when a sect called the Ganapatyas came into existence. 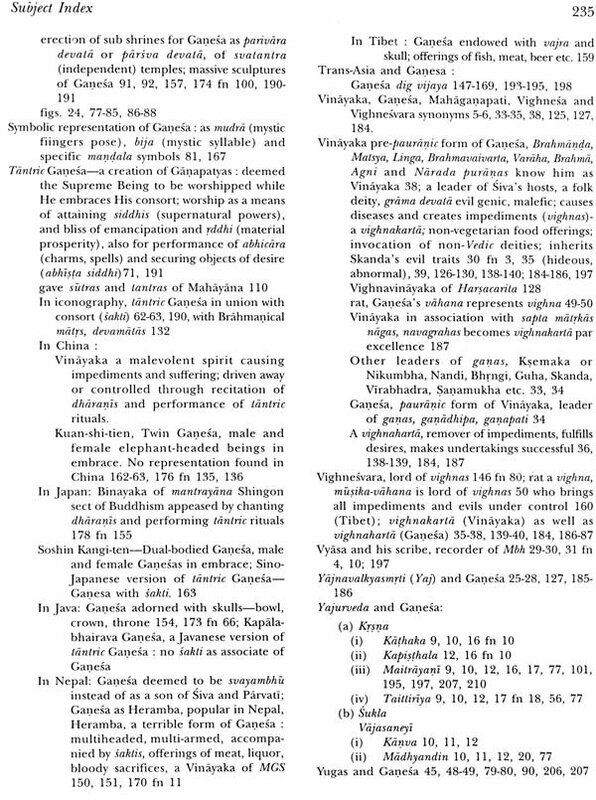 The Ganapatyas were primarily the worshippers of Ganapati or Ganesa. 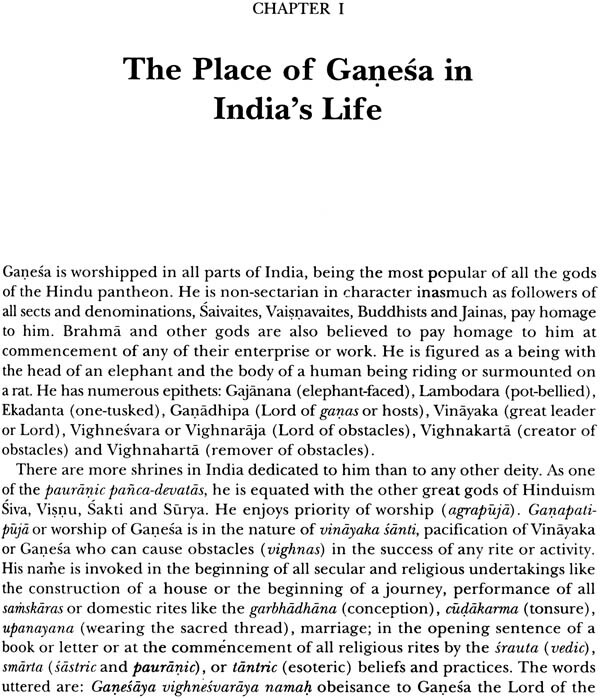 For Them Ganesa was the supreme reality: higher than Siva, Visnu or Devi. 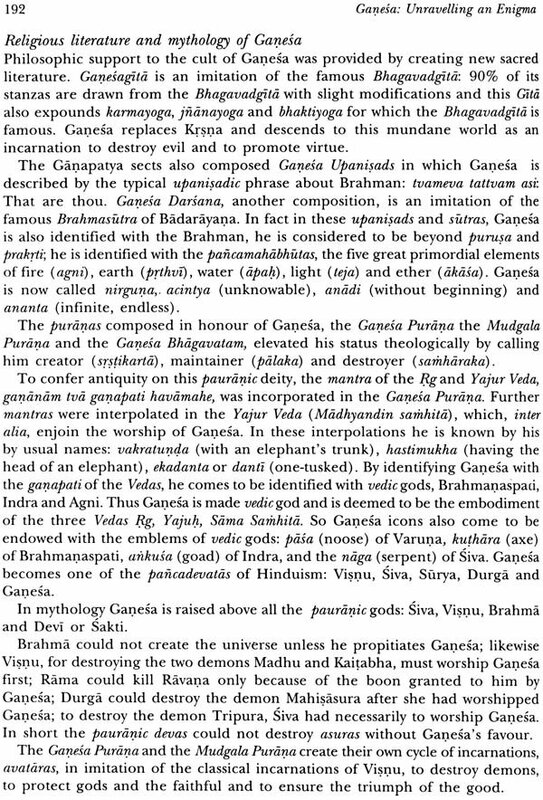 Verily Ganesa was regarded as Brahman, paramatman, the creator, the primordial purusa. 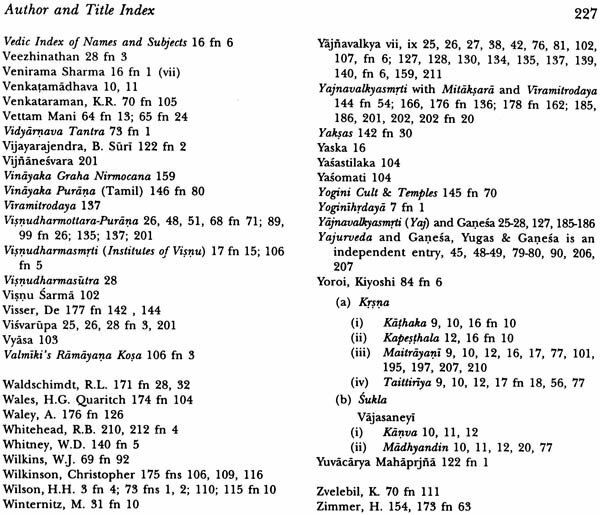 To sustain this position, the Ganapatyas 'fabricated' literature parallel to the srutis smrtis and the puranas. In particular by interpreting the expression ganapati in the Rg Veda II. 23 .I gananam TVA ganapati havamahe, as referring to the pauranic Ganapati, Ganesa was given Vedic antiquity. In the result, Ganesa becomes a pancadevata, one of the five great gods of Hinduism: Siva, Visnu, Surya, Durga and Ganesa. 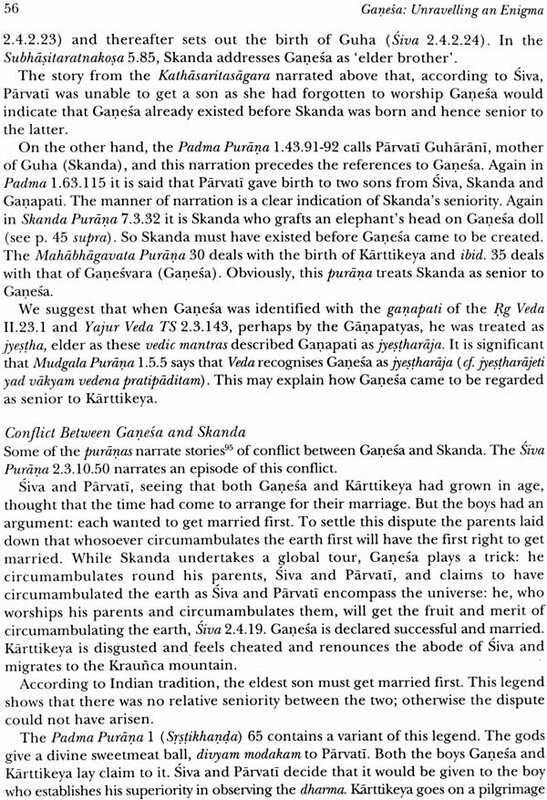 Through chronological Skanda or Kumara is first and hence the senior son of Siva and Parvati, the puranas managed to make Ganapati as their eldest son and hence the elder brother of Skanda or Kumara. 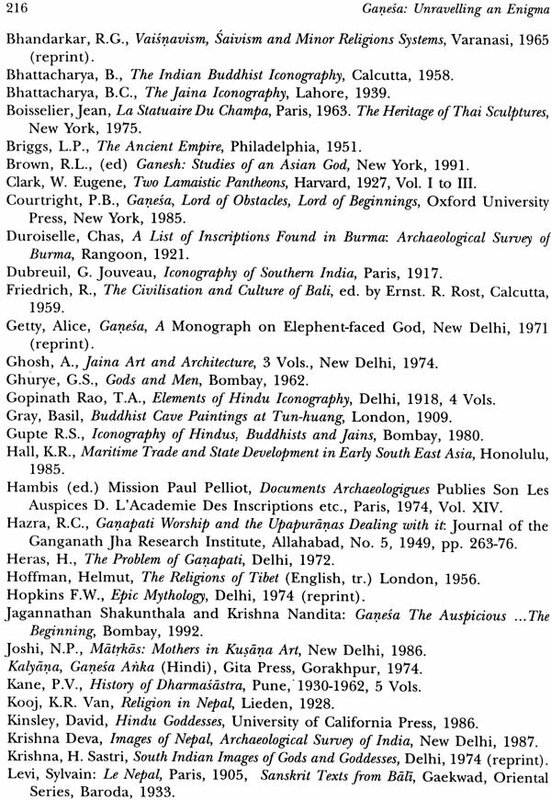 In the post-Gupta( 4th-6th century A.D) period Ganesa travels abroad along with merchants and monks- to Sri Lanka, Burma, now Myanmar, Indonesia, Champa, Cambodia, Thailand in the South-East Asia, to Tibet and Mongolia in Central Asia, and to China, Korea and Japan in Eastern Asia. 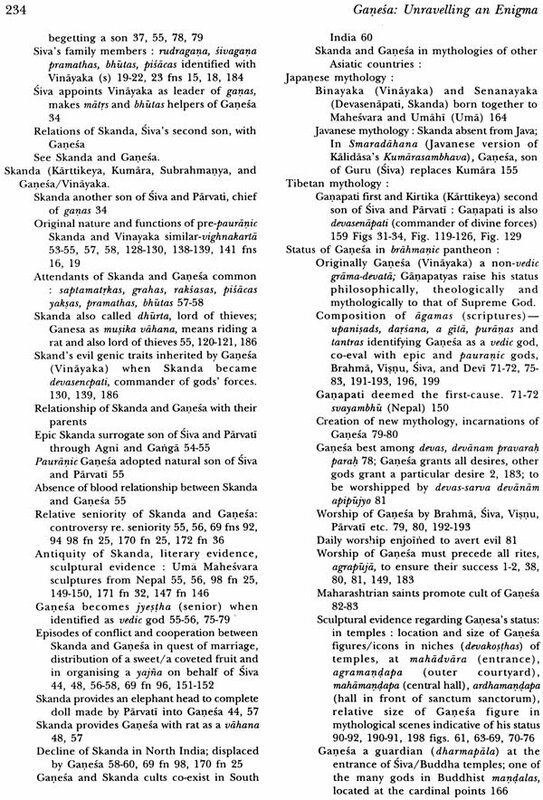 Whereas the other members of the pancadevata group largely remain national gods Genesa becomes a pan-Asian god. The artists of most of the different Countries of Asia, South-East Asia and Japan, Created indigenous versions of India Ganesa: only they had to adhere faithfully to the Indian prototype so far as the elephantine features are concerned. 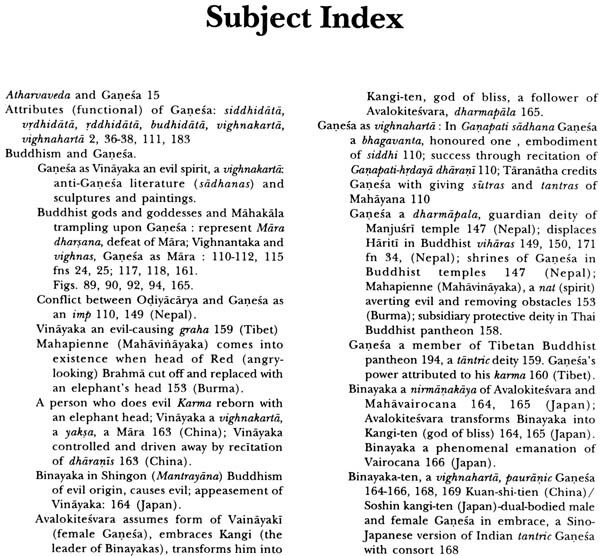 Ganesas outside India are generally two-armed, whereas in India, as rule, the twoarmed Ganesa is the Vinayaka of the Manavagrhyasutra and the Yajnavalkyasmrti and the four (or more) armed Ganesa is a pauranic deity.In fact it is the multiplicity of arms which maked the transformation of from a dvibhuja Vinayaka, who is a vighnakarta, to caturbhuja pauranic Ganesa who is also vighnaharta. Again Indian Ganesa has an ornamentation- sarpayanopavita (snake as the sacred thread), sarpaudarabandha (snake as the stomach band) or sarpakatibandha (snake as the waist belt). 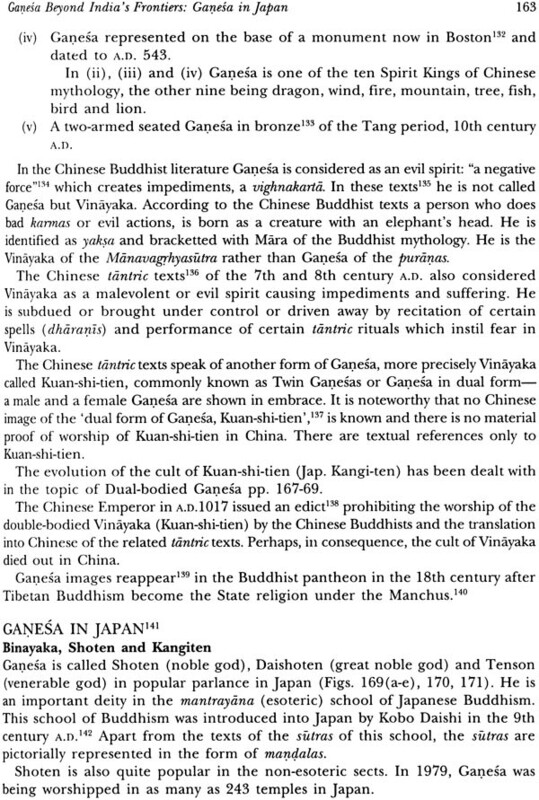 This feature is generally absent in the Asian Ganesa outside India execepting the tantric Ganesa of Indonesia. Thirdly the Tantric Indian Ganesas are often accompained by their saktis but Ganesas outside India have no sakties. The Indonesian Ganesas are ornament with skull which proclaim their tantric affiliation. Fourthly Ganesas from India, as also from Indonesia, are pot-bellied but those from other countries, as a rule, have no pot-velly or their paunch is much less pronouned, that is, they are not lambodara, one of the popular names of Ganesa in India. Likewise Ganesas outside India need not necessarily be one-tusked, ekadanta in India. 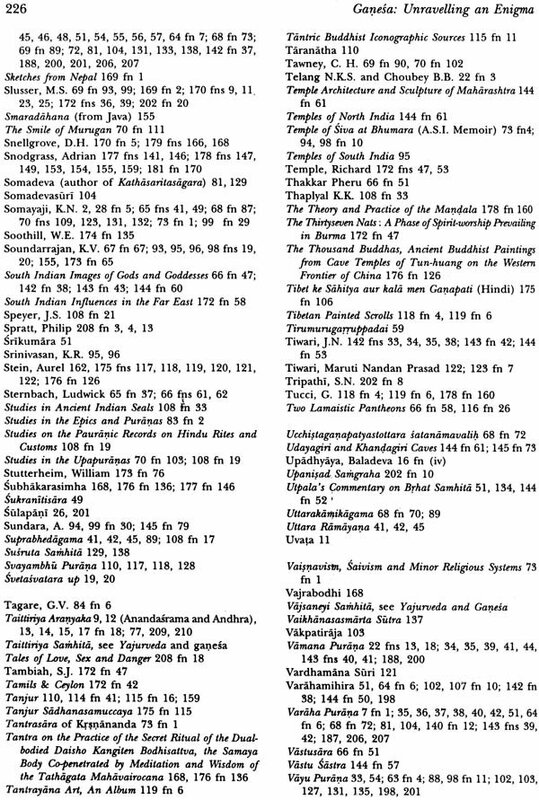 They have also no association with the saptamamatkas ('seven mothers' who cause disease and suffering ) and navagrahas (nine planets) who are deemed as seizures exercising baleful influence on human affairs. Rat is also not the vahana of Genesa except in Thailand. Their emblems also differ. 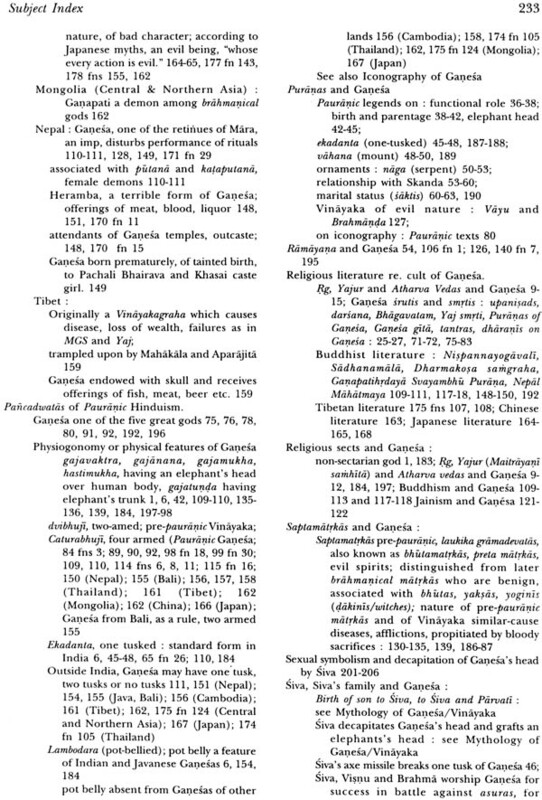 Some were endowed with Vaisnavite emblems like cakra (disc) and sankha (conch) which would be considered anomalous in India in respect of the family of Siva. Ganesa becomes a svatantra devata (independent deity) in Cambodia, Vietnam and Japan, entitled to a temple of his own. 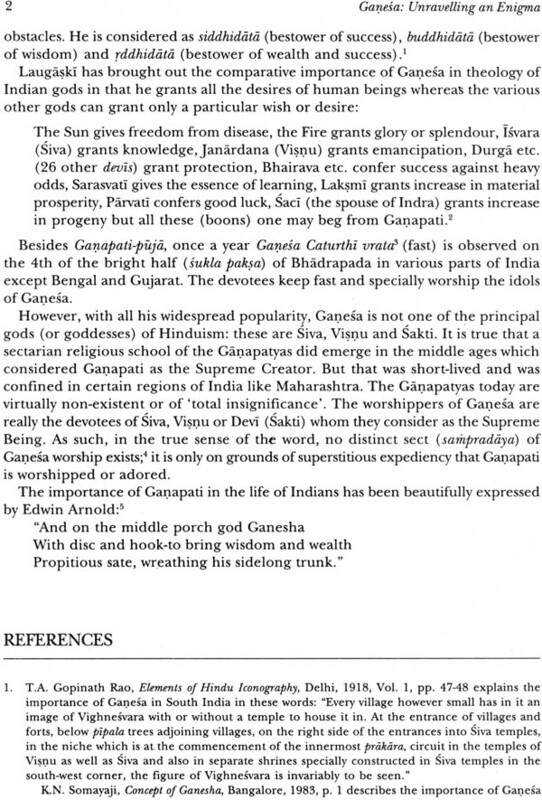 It deserve to be mentioned that in India the admission to and subsequent rise of Ganesa in the brahmanical pantheon was a gradual process because of his antecedent- he was originally a gramadevata, a folk deity who caused evil- it was like the admission of an outcaste into the upper caste hierarchy or admission of a convert to the fold of another faith. Ganesa, outside India, was not encumbered by such a legacy - a Vinayaka as vighnakarta creator of outstacles. Outside Indian, he was just like any other god of the 'Hindu' Pantheon- he was accorded the same status as any other brahmanical god. 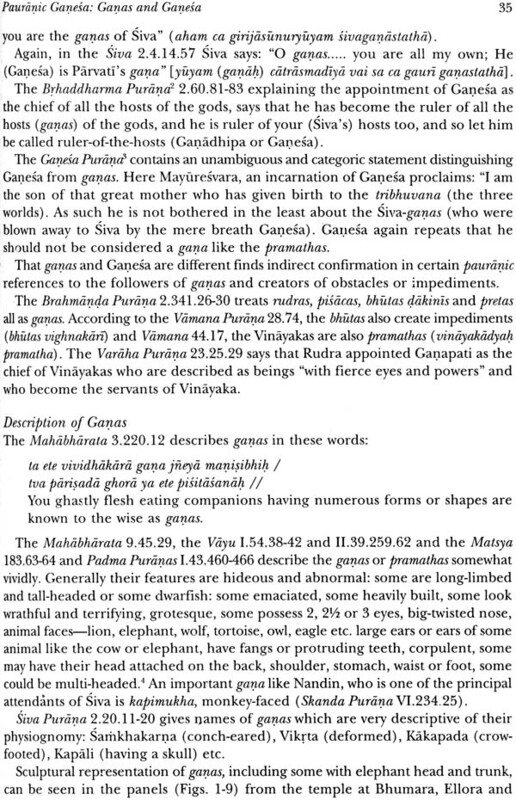 The dualistic nature of Ganesa, a vighnakarta who , at the same time, is also a vighnaharta, is baffling. This book seeks to unravel the enigma of Ganesa.